Place eggs in medium saucepan; cover with cold water. Bring to a boil. Reduce heat to low; simmer about 15 minutes. Immediately drain; run cold water over eggs to stop cooking. 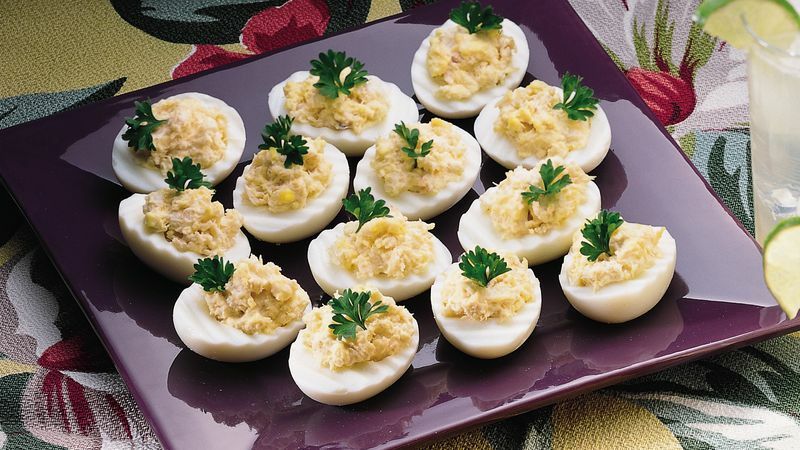 Add crabmeat, mayonnaise, dry mustard and ground red pepper to yolks in bowl; mix and mash with fork until well blended. Mound yolk mixture into center of each cooked egg white. Garnish each with parsley sprig. Cover; refrigerate until serving time.